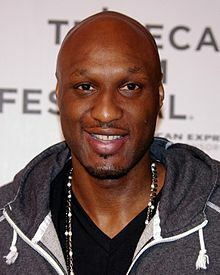 Lamar Odom is an American retired basketball player that was born on 6th November, 1979 in Queens, New York. His father Joe Odom was a drug (heroin) addict and his mother died of colon cancer when Lamar was twelve years of age. Having been in such a situation, he was taken up by his maternal grandmother, Mildred Mercer who raised him. Lamar Odom discovered his talent when he was still young and he put it into practice in the schools he attended. In his junior High-School years, he played for the Christ the King Regional High school. As a senior he was transferred to Redemption Christian Academy and later to St. Thomas Aquinas High School. Here, he got the chance to be coached by Jerry De Gregorio hence positively impacting on his skills in basketball. The coaching Lamar Odom received as a senior brought him to the limelight and he was nationally recognized as the Parade Player of the year in 1997. Later on, he was awarded as the All-USA first team honors. Lamar Odom always wished to join the NBA immediately after leaving High School. This made him to consult his fellow player Kobe Bryant who had made it to the NBA a year earlier. However, he felt that he was not ready enough for the act hence he decided to join the University first. Lamar Odom joined the University of Nevada, Las Vegas. However, due to a number of distractions that came up like having received a citation due to the inciting of prostitution, he transferred to the University of Rhode Island. In Rhode Island Lamar Odom’s career started at a low key as he was always not compliant to the stipulated rules. For instance, after he was considered suitable to play basketball, he disappeared before the game finals. Later on, he was allowed back to the team where he continued with his career. That same year he played for the Rams in the Atlantic 10 Conference where he was named the champion of the year. The success made him to be considered the most valuable player of the year. The following are more of his professional achievements. In the 1999 NBA draft, Lamar Odom was picked by the Los Angeles Clippers. After several games with the Clippers he was named to the 2000 NBA All-Rookie First Team. Year by year Odom managed to increase his points. However, in March 2001, he was suspended from the team for five games because of violating the drug policy of the NBA. Lamar Odom signed a restricted free agent with the Miami Heat. He played with the young team of Miami where he managed to up his game as compared to the previous year when he was with the Clippers. 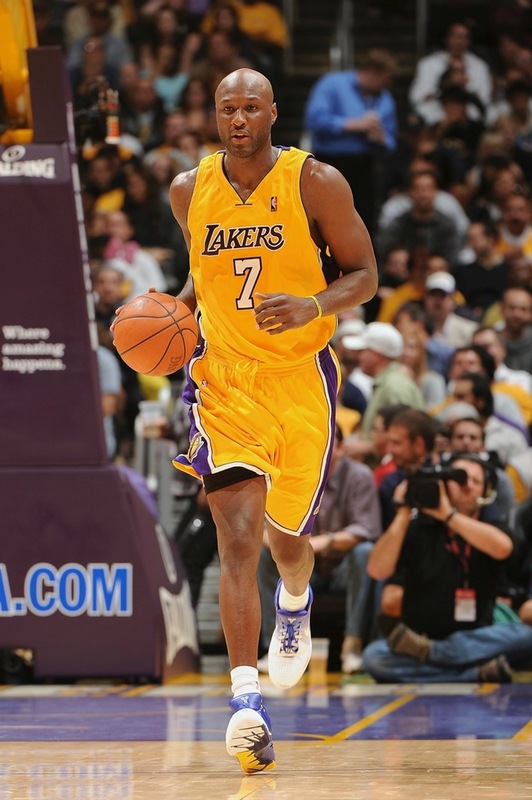 After that season, Odom was traded to the Los Angeles Lakers. The career of Lamar Odom gained prominence in this period because of the several successes he made with the team. Together with his teammates, they worked hard to secure the NBA championship amid several challenges like injuries. The biggest challenge that hit the team came up in 2009 when the Miami Heat courted in a bid to have Lamar Odom back. However, after several negotiations, they agreed on a four-year deal for Odom worth $33 million. This deal became of worth because the Lakers become the 2010 NBA Champions against the Boston Celtics. In December 2011, Lamar Odom was traded to the Mavericks where things did not work well with him. He was involved in different misunderstandings with the team’s coaches and he was considered incompetent. He therefore parted ways with the Dallas Mavericks with the little times he played showing that his career had dropped so much. Lamar Odom was traded back to the Clippers with whom he played all the 82 games of that season. Additionally, in his time with the clippers, they managed to earn their very first Pacific Division Title. Lamar Odom played only two games with this team because of the back injury he attained that rendered him unfit to play. He had signed a two-month contract with the Baskonia with which he had wanted to extend for the remainder of the season. In April 2014, Lamar Odom signed with the Knicks but he did not appear in the team’s season finale. The team performed poorly and later on in July that year, it waived him. Lamar Odom is well known for the impact he had in all the teams that he worked with. He is considered to have understood the concept of a team as he played because he expressed so much unselfishness. He was also an outgoing guy as a player and he always nice to everyone. Odom was married to Khloe Kardashian. However, Lamar has two kids, Lamar Odom Jr. and Destiny from his previous marriage. Lamar Odom and Khloe separated three years ago and they now officially divorced. Khloe filed the divorce after all she named unforgivable differences and now even their company; Kholmar is yet to be dissolved now that the divorce is over. In the recent past, the health of Lamar Odom has been in a compromising situation. Odom was found to have had a drug overdose in a brothel. The NBA star was left unconscious after partying and abusing drugs in a ranch. However, his health is getting back to normal after urgent medical attention was sought to correct the situation. Lamar worked under the NBA for over a decade. In this period he was able to earn lucrative deals that made him earn all that he owns now. The biggest contract that he got was from the Miami Heat that was worth $65 million. All through, he has worked toward achieving his success despite the several off-the-court struggles and run-ins with the law enforcers that have devalued him severally in his career path. According to the most recent statistics, Lamar Odom’s basketball playing career has earned him a net worth of $56 million.